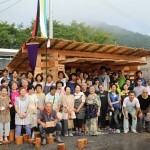 みんなの舞台 Minna no Butai – a Stage for All was built in Summita-cho, Irate-ken by the 2014 MIT Japan Design Workshop in collaboration with the University of Tokyo’s Otsuki Lab. 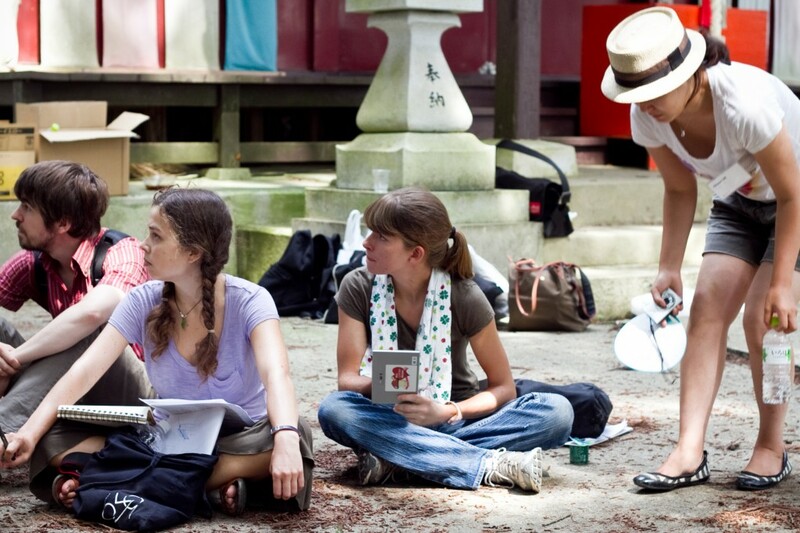 The author, Saori Imoto, is a Research Associate at the University of Tokyo and a 2005-2006 Veneto Experience alumna. 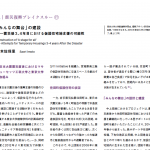 The full article (in Japanese) can be read and downloaded here. 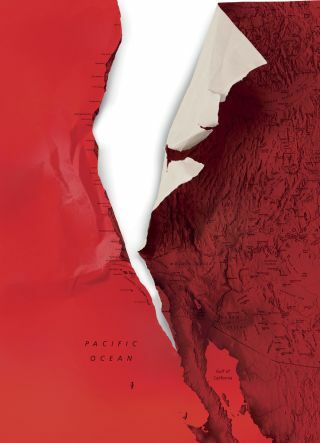 An article from Kathryn Schulz of the New Yorker raises awareness of the potential for the US Pacific Northwest coast to experience a major subduction earthquake and tsunami not dissimilar to the 3.11 event in Japan. 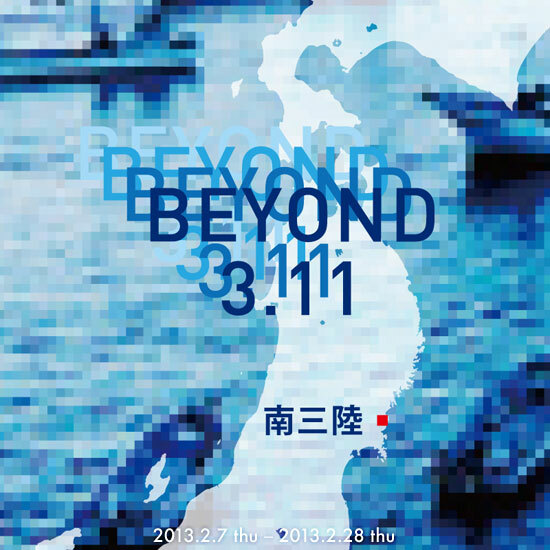 The article, which was published last week, not only describes the potential similarities to 3.11, but the ways in which communities in the Northwest are in many ways much less prepared than those in Japan. 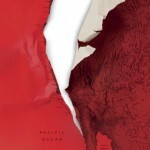 It also describes the collaborative detective work of how scientists came to understand the potential for an event: Native American oral tradition, offshore core samples from the US, and historical records of a 300+ year old ‘Orphan Tsunami’ in Japan — before which no quake was felt — were pieced together to form evidence to the story we have today. 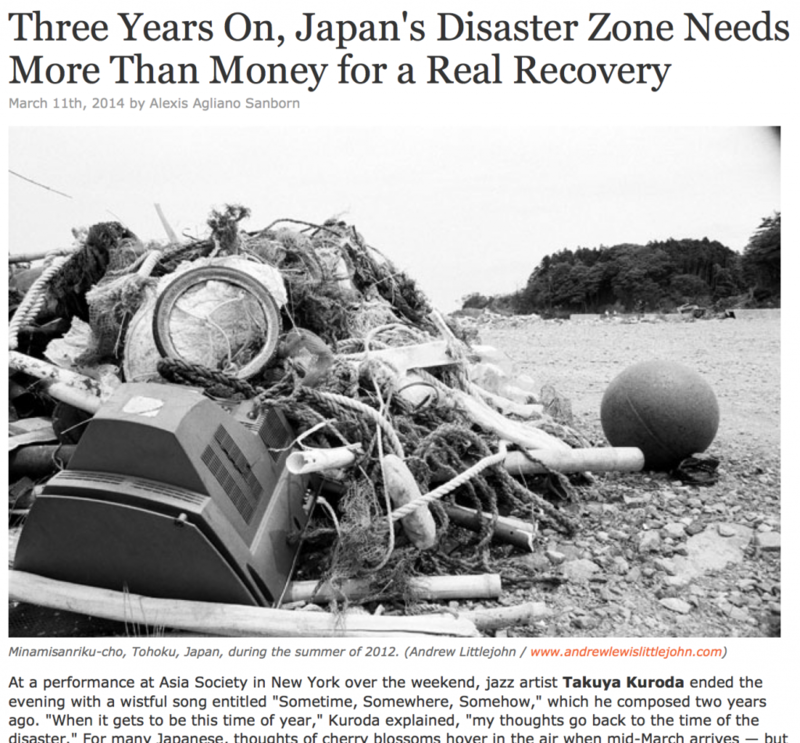 In remembrance of the third anniversary of 3.11, here are some thoughts from Shun Kanda as shared with the Asia Society. 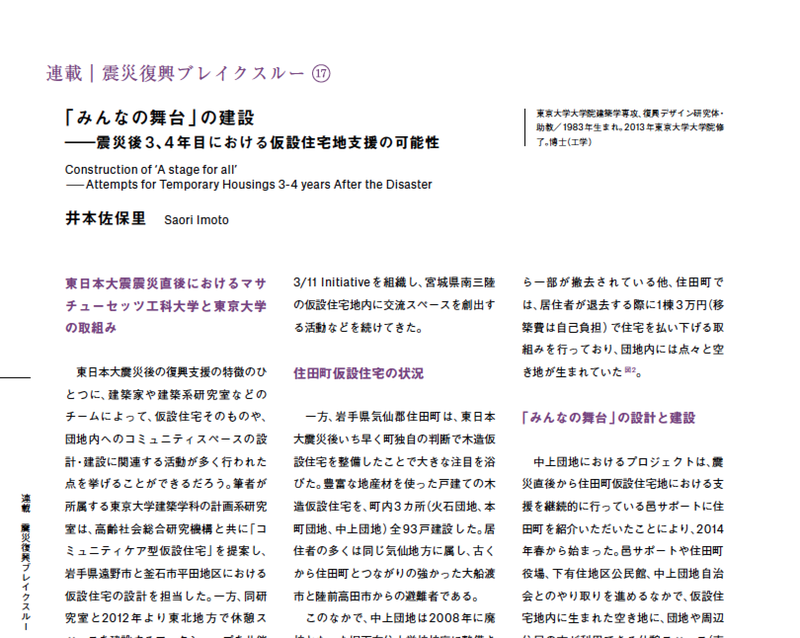 You can find the article on their website or in this PDF available for download. How have you commemorated this year’s anniversary? 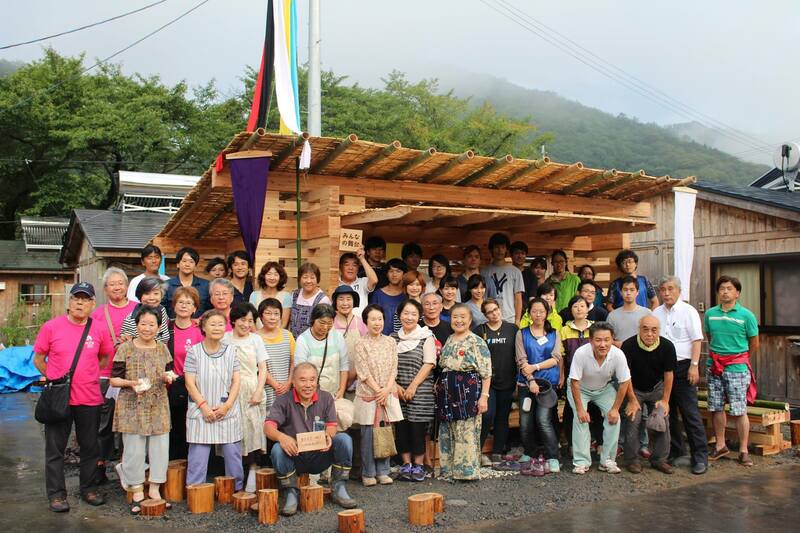 With the Rin Rin Popolo project completed, the residents of Iriya can come together and enjoy the communal space it provides. 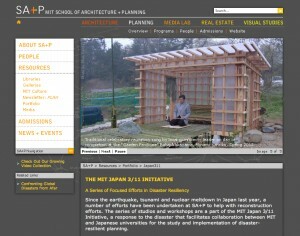 For more information and photos of this milestone, see the press release (in English and Japanese) here and here. 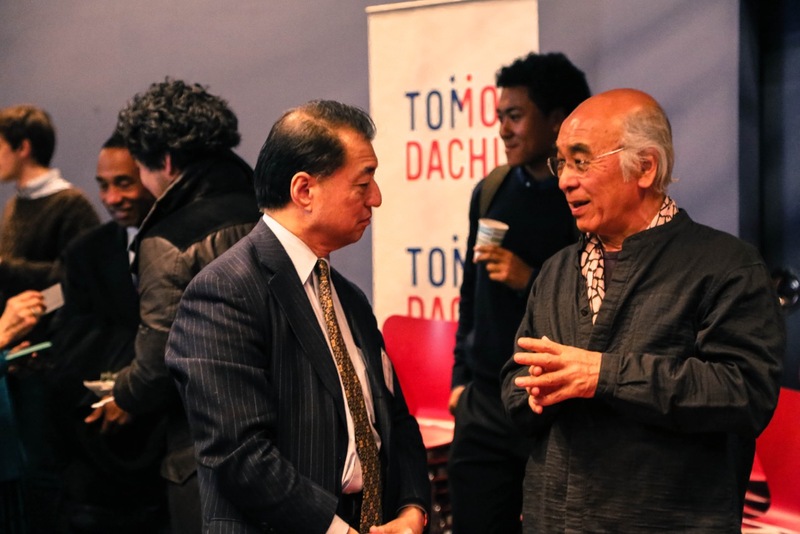 Alongside other speakers such as Chim↑Pom, Jake Price, Shimpei Takeda, Yuhei Suzuki, Alisa Prager, Kirsten Homma, Susan J. Onuma, Dr. Robert Yanagisawa, and Dr. Shunichi Homma; the symposium highlighting the diverse ongoing efforts of the respective speakers, asked questions about role of creative response, and reminded us all of the enormity of the work still left to be done in Tohoku. 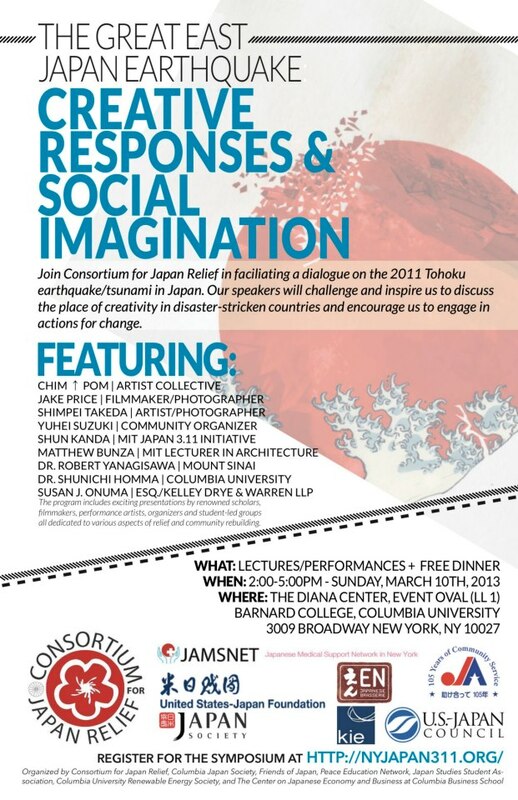 Special thanks to Daiyu Suzuki, Nat Andreini, and the Consortium for Japan Relief for making the event possible. 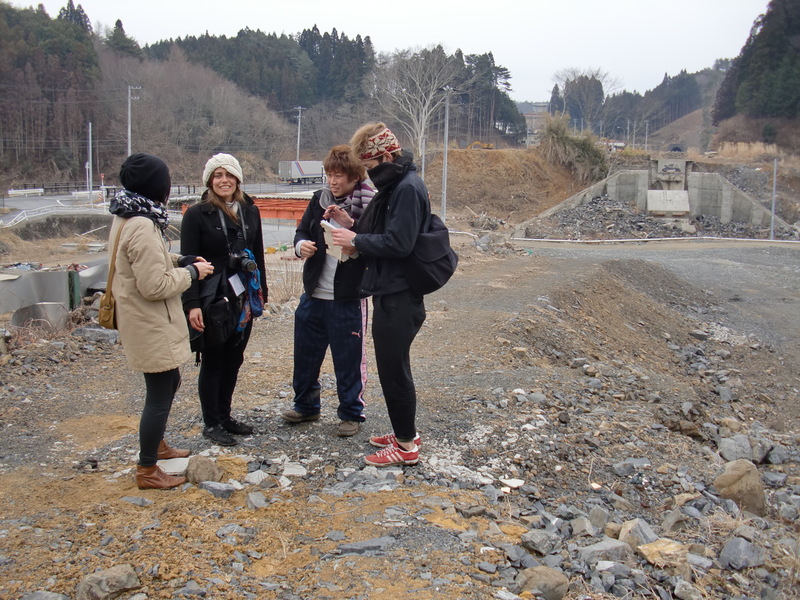 Based on a map depicted entirely in text the original names of places in the mountain valley village of Iriya, Minamisanriku, this project will bring to life its unique historical relationships to past folklore including past tsunamis. 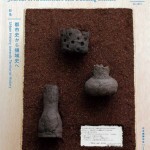 Iriya lies at the foot of Tatsugane-yama (El.512m) inland from Shizugawa Bay and occupies an important place both in morphological and ethnological evolution within the greater Tohoku history. 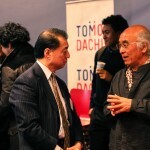 Much of this information has been lost however to the present generation of residents. 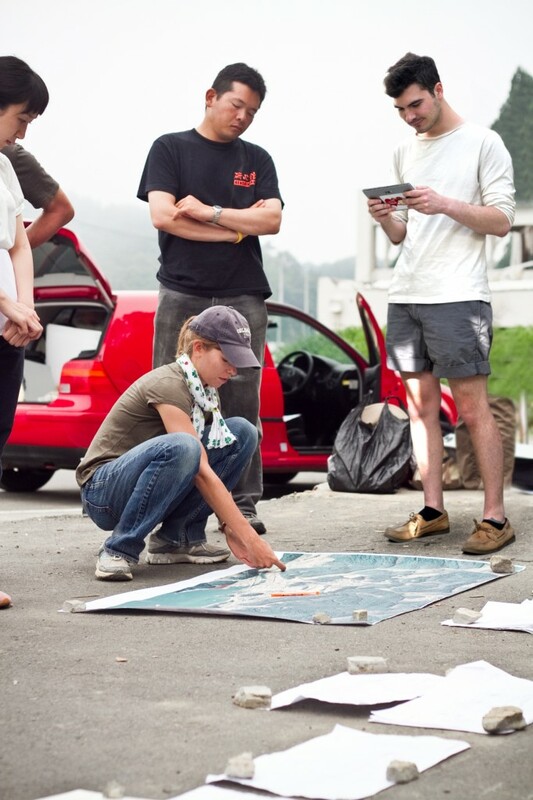 The goals of this project is to utilize digital mapping techniques and the use of NTTdocomo tablet devices in the hands of local people to enliven its power of place amidst the gloom in the aftermath of 3.11. MIT Japan 3.11 Initiative Team member Eric, in Minamisanriku, uses an NTT docomo Tablet to aid in their field work. 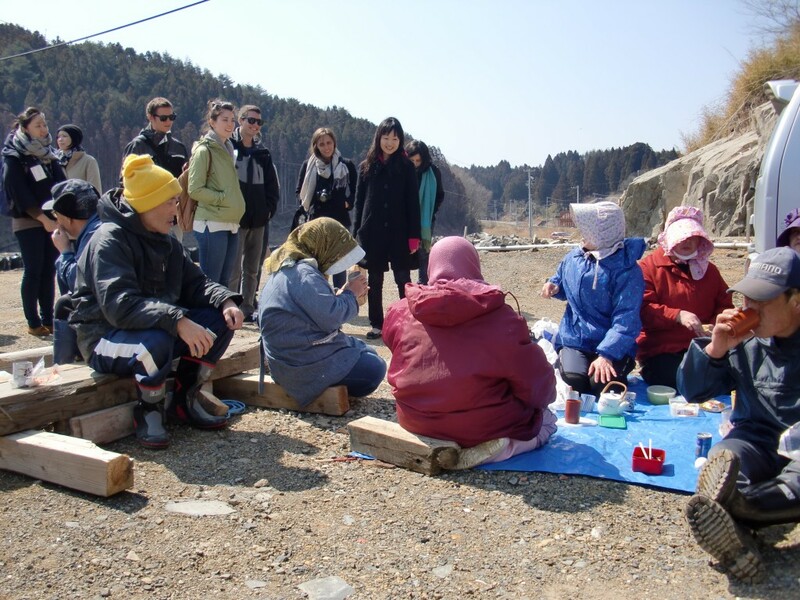 MIT team members meet with local Japanese students in Iriya. 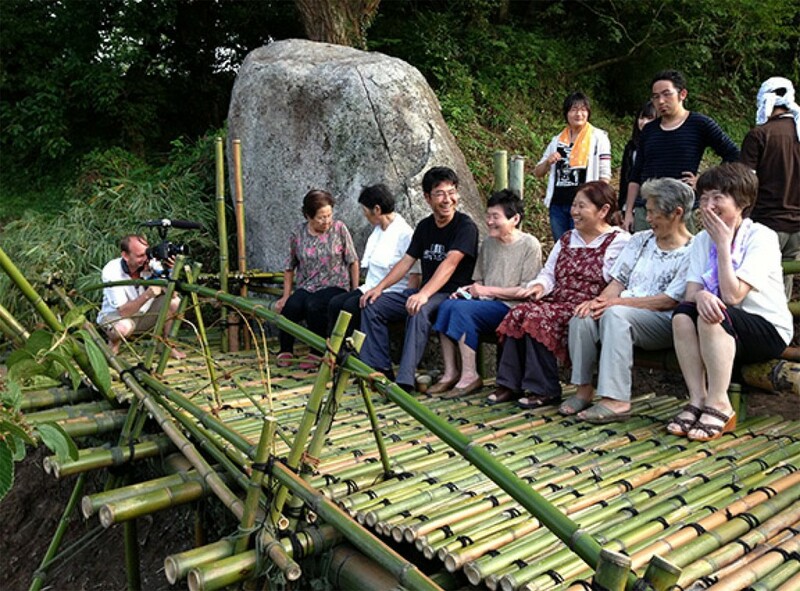 The MIT team spends some quality time with villagers in Iriya. 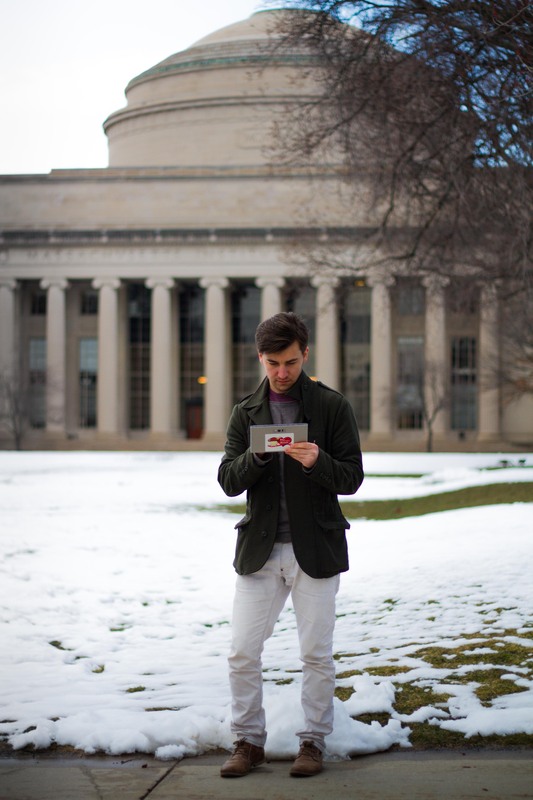 MIT Architecture graduate student Tyler with the NTT docomo Tablet back on campus. 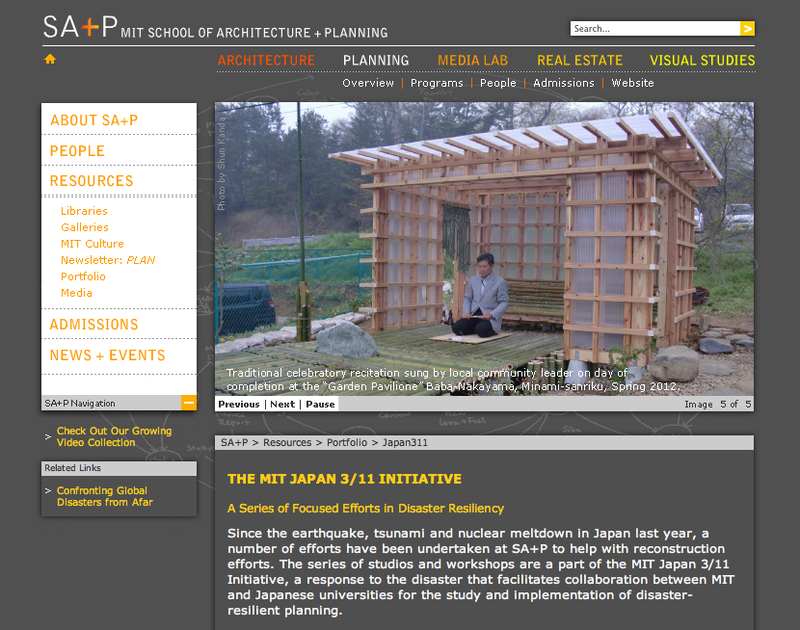 This month, Gallery A4 in Tokyo is running a comprehensive exhibition featuring the MIT Japan 3.11 Initiative’s work on Post-Disaster, Resilient Reconstruction in Minamisanriku over the last two years. 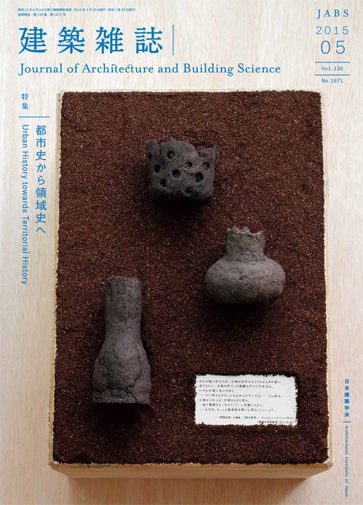 The exhibition opens this week on February 7th, and runs through February 28th. We hope to see you there! 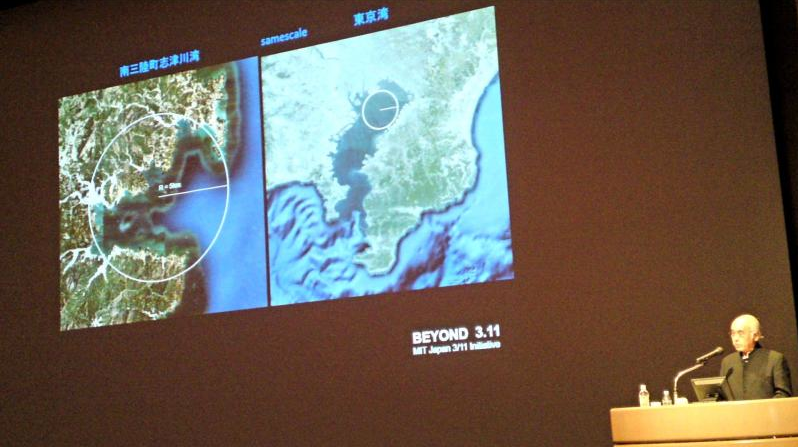 Shun Kanda, MIT Japan 3/11 Initiative Director, delivered a talk at the Nikkei BP Smart City Week 21 Symposium in Yokohama, Japan on October 30th, 2012.